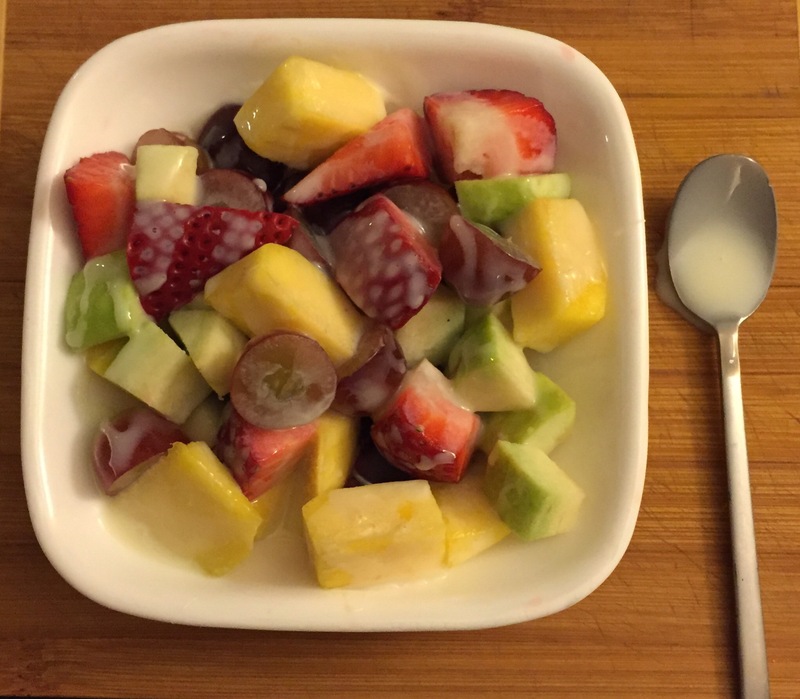 When it comes to a quick snack the first thing that comes to my mind is the good old fruit salad. Literally, what’s not to like, it’s healthy , it’s colorful , it tastes delicious and it’s easy to make. 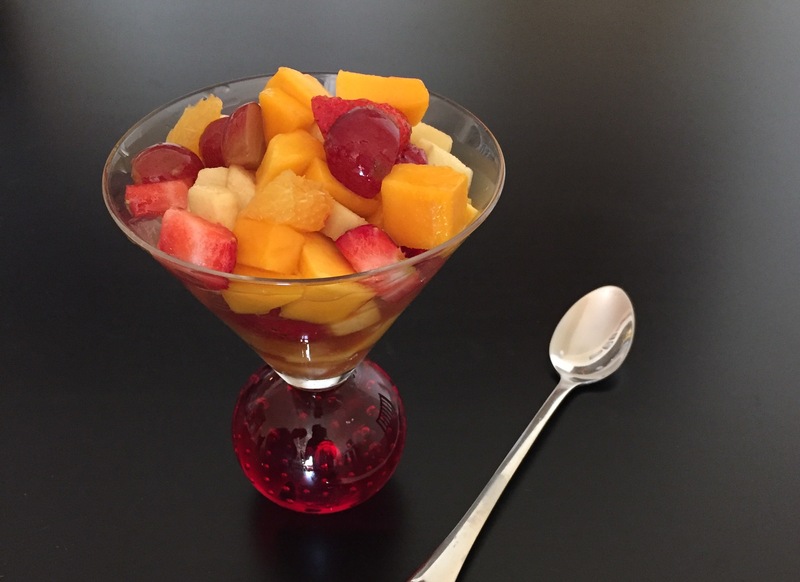 Let me show you how to make this Simple and the Special “to die for ” version of this awesome fruit salad. One day I had unexpected guests and I had to whip up a quick dessert. All I had was some fresh fruits. I didn’t have cream to make the “fruit and cream” dessert but I had a can of sweetened condensed milk . 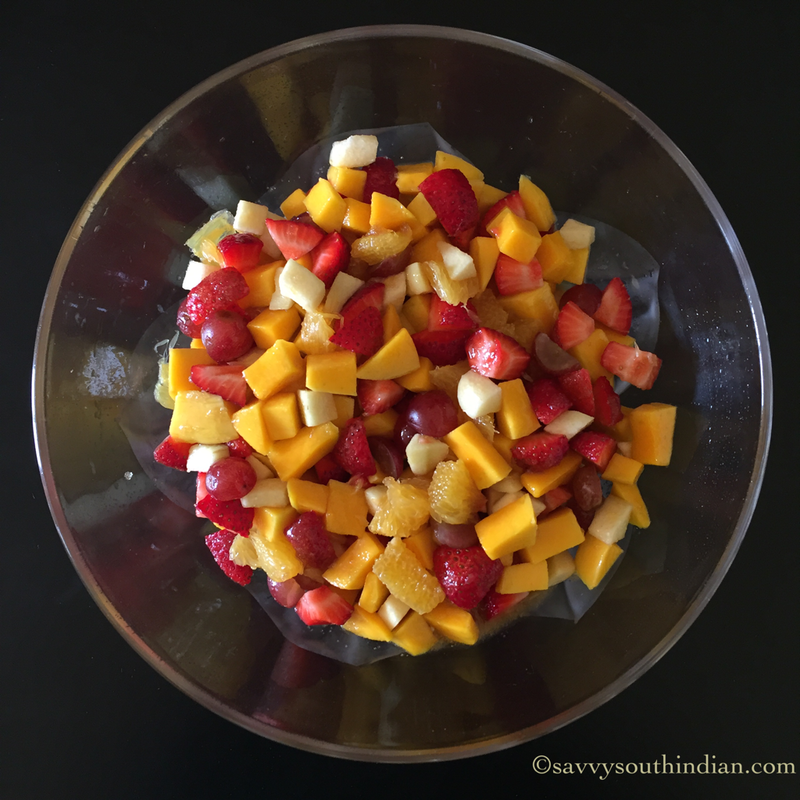 Ta-da came the idea for this recipe, I added it to the chilled bowl of cut fruits with some vanilla … Mmmm tasted divine! my guests loved it. Ever since this is my favorite dessert to have any time of the day. Cover it and refrigerate for some time. Drizzle a generous amount of sweetened condensed milk and enjoy ! How quick is that ! The condensed milk adds the creamy note which makes it so Yummy ! On special occasions I make the same fruit salad in a very festive way. This is my mom’s recip, it tastes very refreshing and delicious. 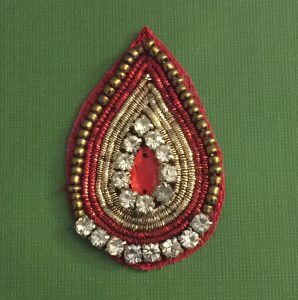 My family loves this and I can’t wait to share it with you all . Here is the recipe …. Put it in a big bowl, add the following ingredients and gently mix everything. Cover it and leave it in the fridge for at least 2 hours . The juice it makes at the bottom of bowl makes it extra tasty. It’s a mix of honey, lemon and vanilla ….. 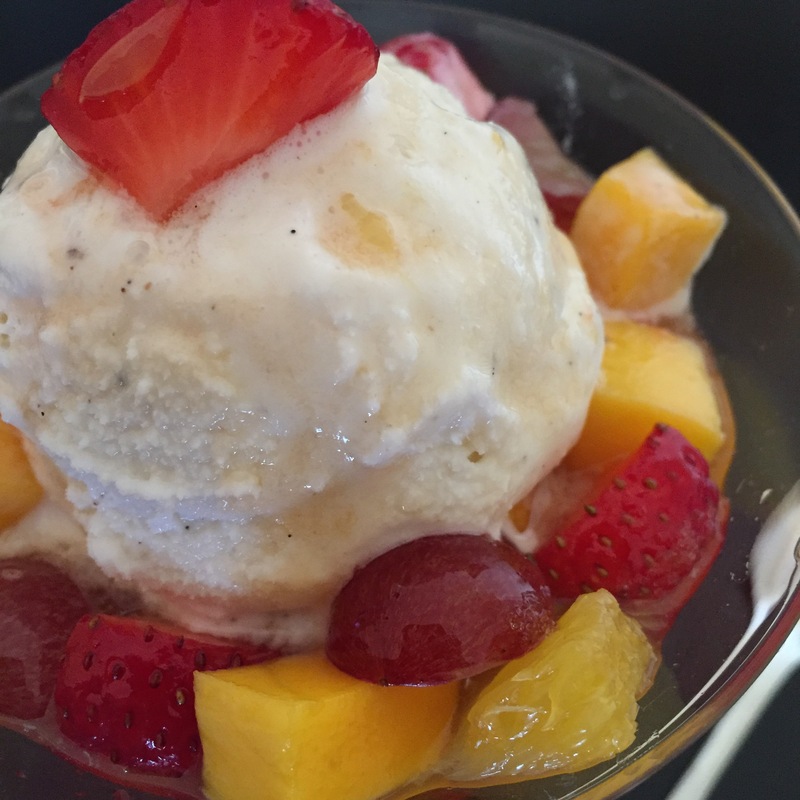 This special version of fruit salad is a healthy snack and a tasty topping for ice cream . 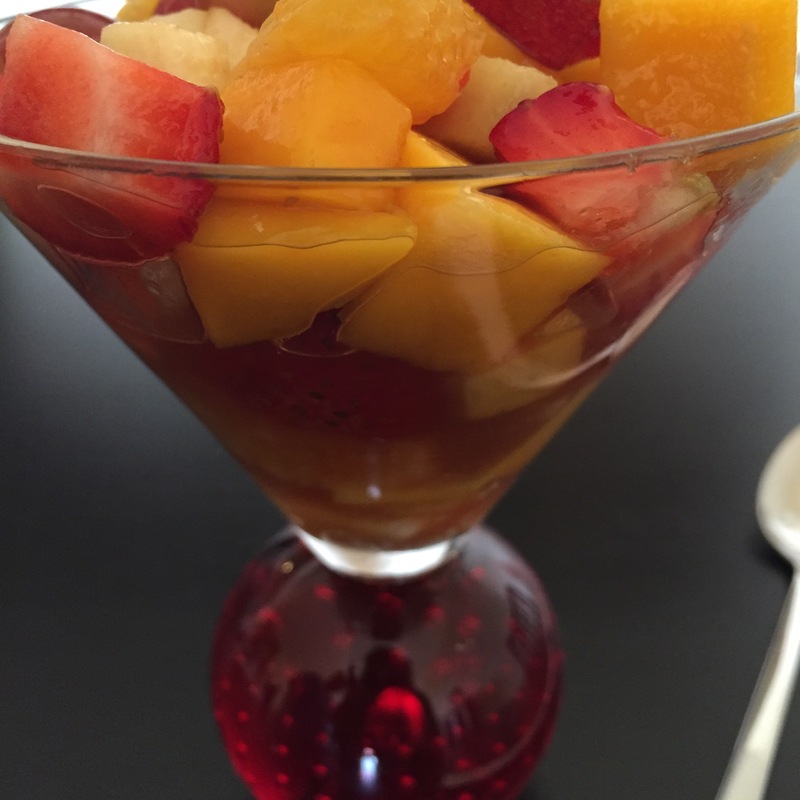 Who wouldn’t love a chilled cup of tasty fruits? 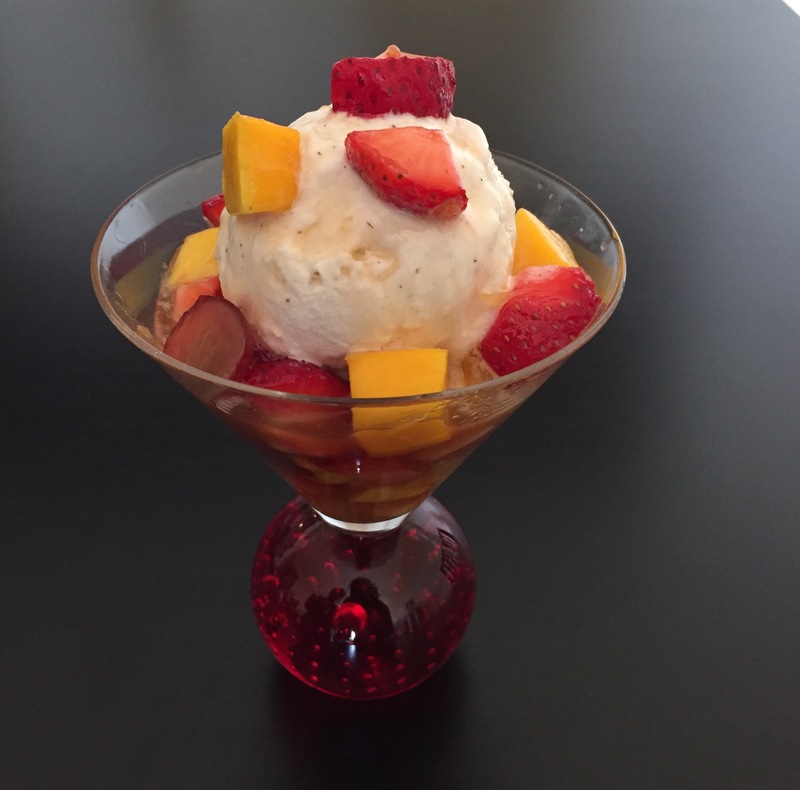 Scoop a ladle of the fruit salad in a beautiful bowl add a dollop of good vanilla ice cream or sorbet and drizzle a little bit of the juice from the fruit salad. Kick back and enjoy ! It literally makes you close your eyes. Believe me, it’s that good ! Nothing beats the versatility of this salad. You get multiple uses out of it . You can eat it just as a plain salad or make it a fancy dessert with ice cream. And it pairs very well with a bowl of …. 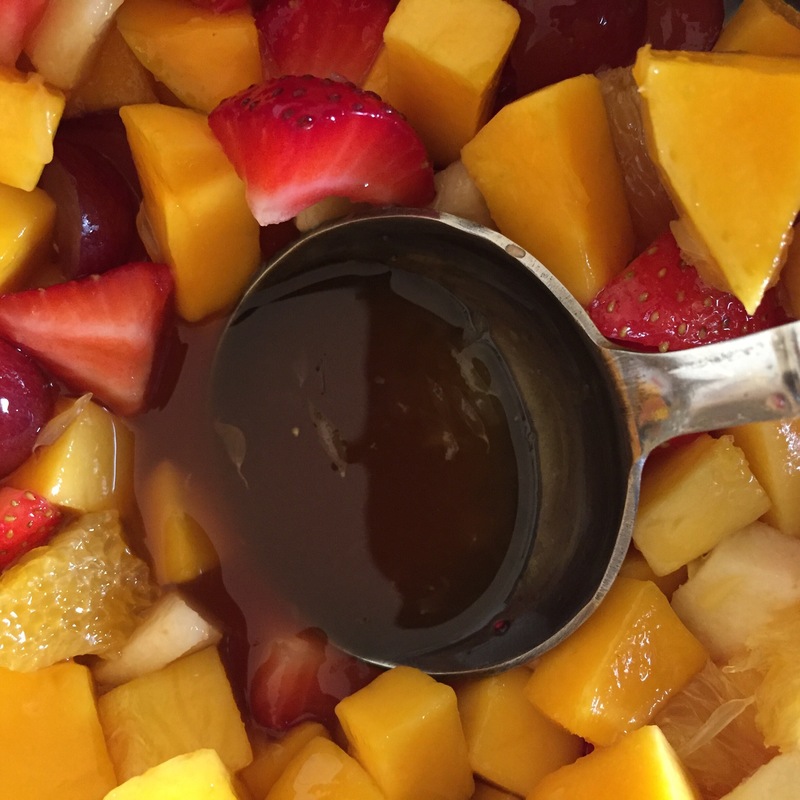 These syrupy fruits taste even great with pancakes. Wow.. healthy and yummy… I used to make this for breakfast..